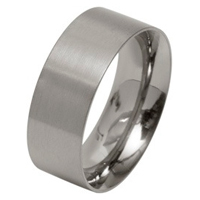 A tradition court style ring made from scratch resistant Tungsten Carbide with rounded chamfered edges. The ring is 7mm in width and is highly polished both inside and out. As well as being rounded outside it also has a rounded inside for a true comfort fit.